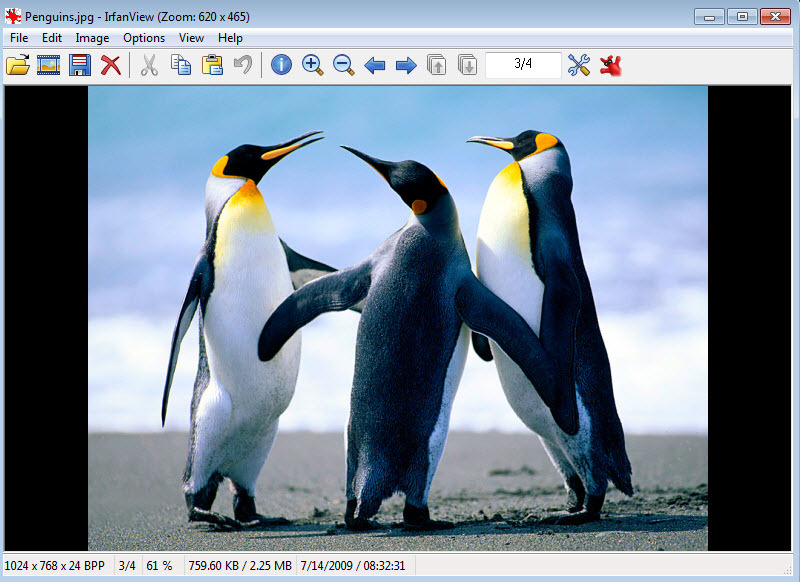 IrfanView is a popular image viewer with additional capabilities such as batch rename and conversion. 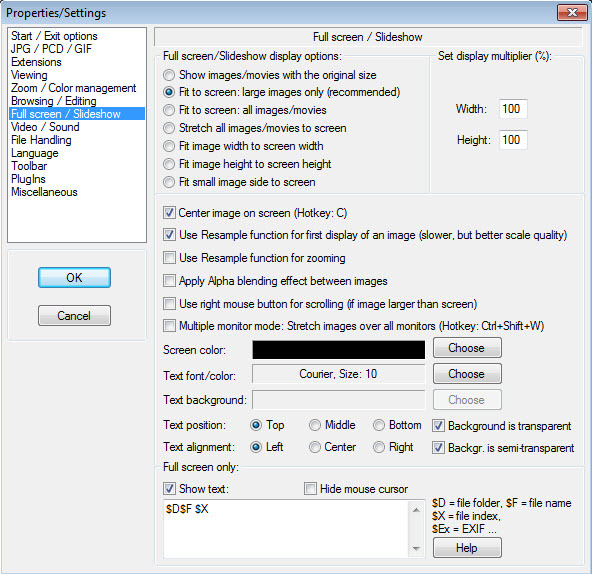 The program is lightweight and starts faster than similar programs when you will open an image. 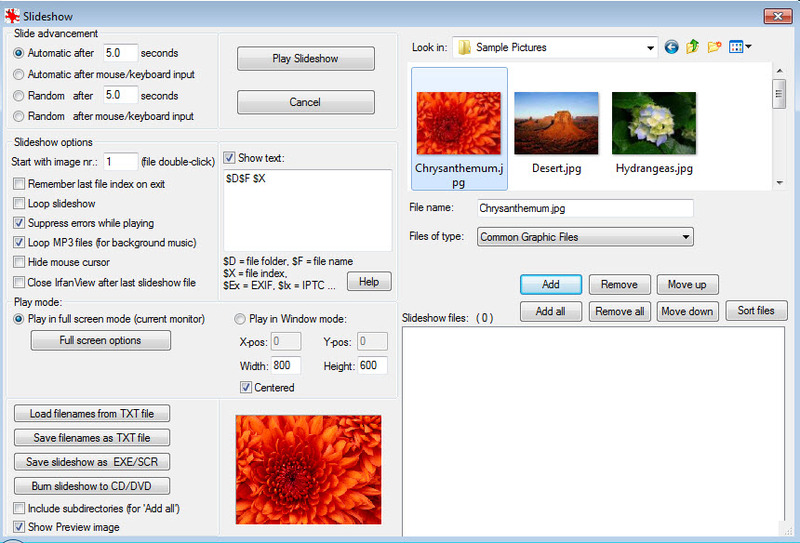 You can play a set of images in slideshow mode (set duration, randomize, show text, set size and many more). 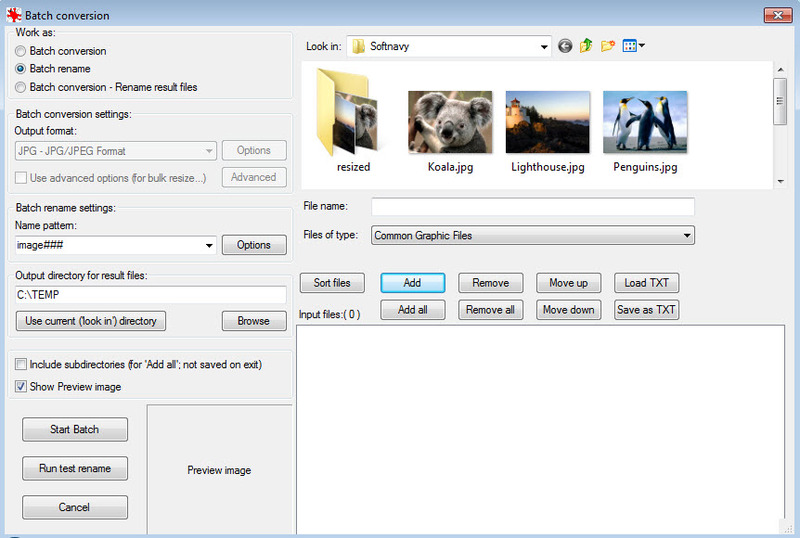 Batch conversion allows to convert your photos from one format to another and the batch rename allows to use advanced patterns to apply the desired name to each photo, automatically. Both features offer many advanced settings. 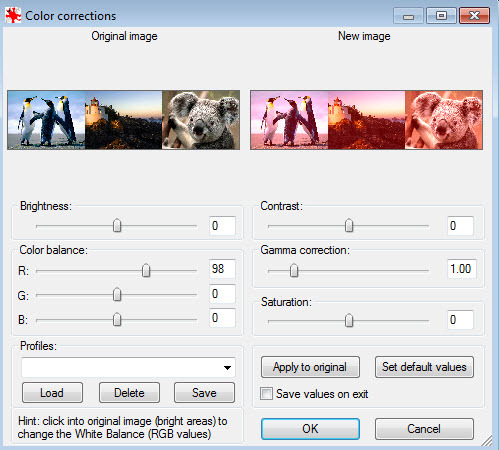 Other features are cut, crop parts from an image, rotate, flip, create panorama with multiple images, adjust colors with real-time preview and more. 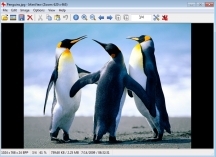 IrfanView is available as free download for Windows 32-bit and 64-bit. IrfanView is 100% clean and safe to install. You can see the test results here.